I love a bit of experimenting -food & drink wise, having previously tried making wine from my Gamay grape vine, the variety used in Beaujolais red, that grows at the end of my garden. Not quite enough grapes, especially as they are the size of blueberries & a small vine in London! This year’s crop ripened from the Summer sun – slightly sweet yet still tart in flavour, being a wine making variety. Along with home grown apples & pears I decided to make chutney with a few spices thrown in as a tasty relish to keep & eat for Christmas & throughout Winter. 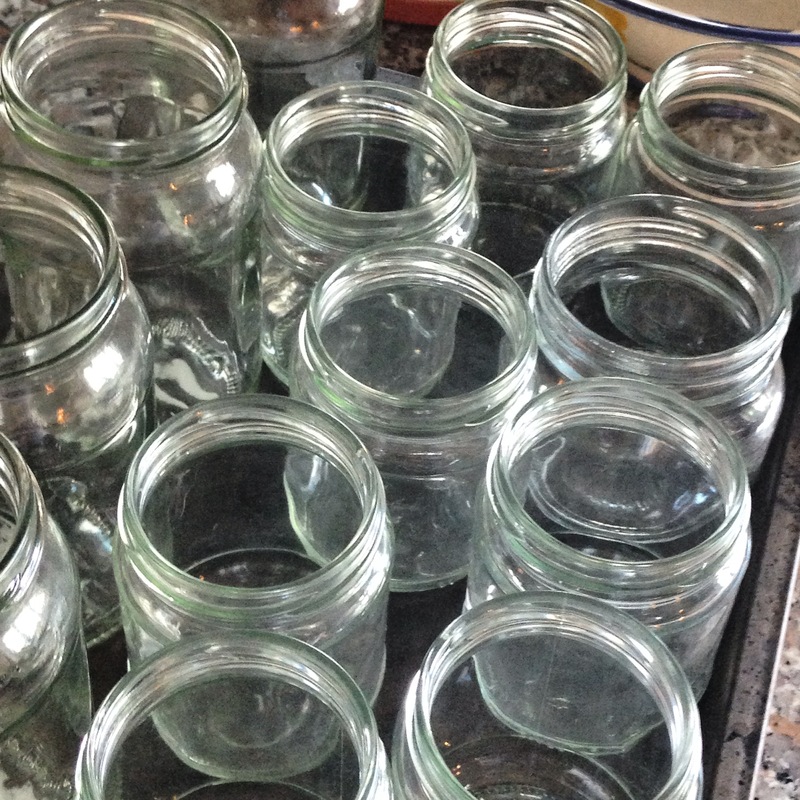 Chutney preserved this way will keep for a year if stored in a cool dark cupboard. 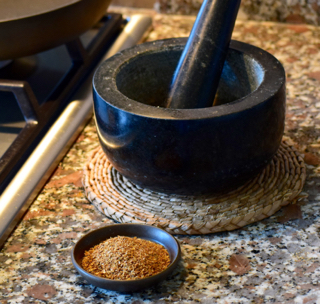 I am sharing my recipe after posting a few pictures on Instagram and receiving some great comments. 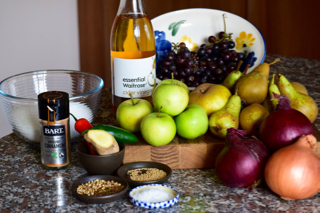 This recipe is very adaptable and you can just make with apples or pears only, an apple/pear combo or without the grapes. I love the purple colour and tanginess the grapes bring along with the flavours and textures with all three. 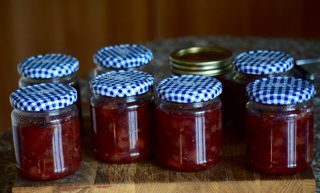 Chopped & added – let’s make chutney! 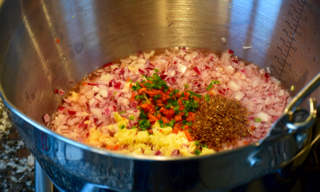 This chutney is very versatile going well with a variety of cheeses, charcuterie & cold meats. My favourite is with a strong Cheddar, creamy goat’s cheese, turkey or ham at Thanksgiving, Christmas dinner or for a Ploughman’s lunch (see archives). It’s a great way to use the fruit from your garden, even the little, misshapen ones which will still taste delicious! 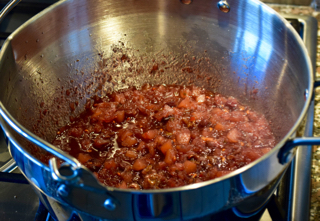 My apple, pear, and grape chutney – a tasty way to add a tang to your food and tastebuds. 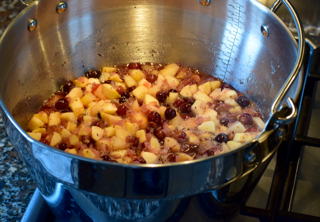 Am thinking of trying this recipe as I have been given loads of apples, pears and grapes. You state that you use Gamay grapes with seeds, but don’t mention removing the seeds at all. 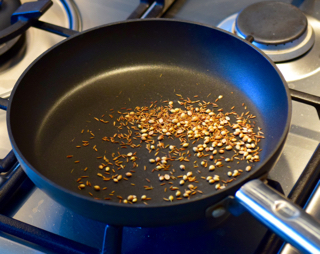 Does the long cooking time soften the seeds to the point you don’t notice them or do you get a crunch?